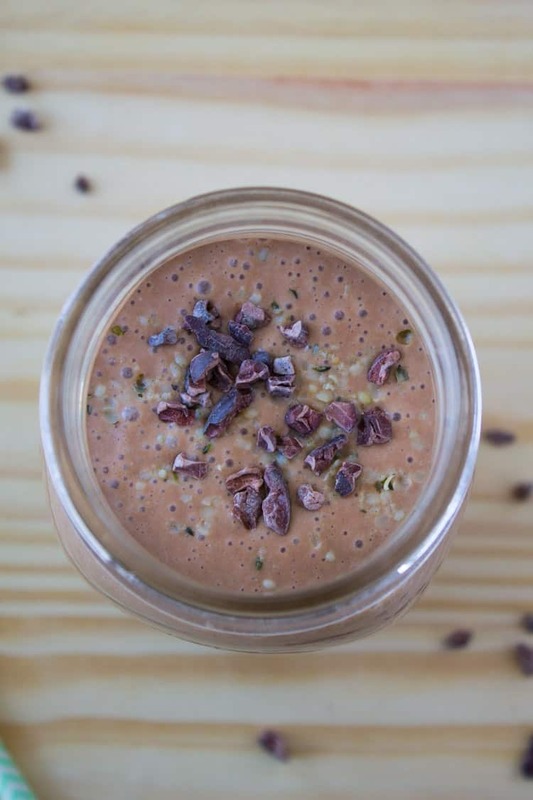 This Chocolate Peanut Butter Oatmeal Smoothie tastes so much like a dessert, you’ll be craving it every day. 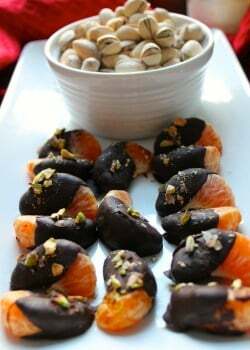 This month’s Recipe Redux is all about favorite chocolate pairings because I’m sure you haven’t had enough chocolate this month between the dark chocolate raspberry hemp truffles and the boozy mexican spiced hot chocolate ;). 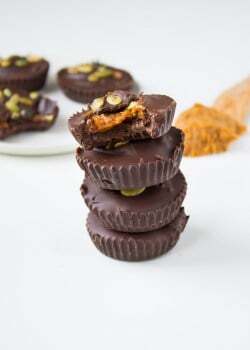 Since I already covered chocolate + raspberry and chocolate + spicy/smokey, I decided I’d spend some time on my other favorite pairing – the classic chocolate peanut butter. 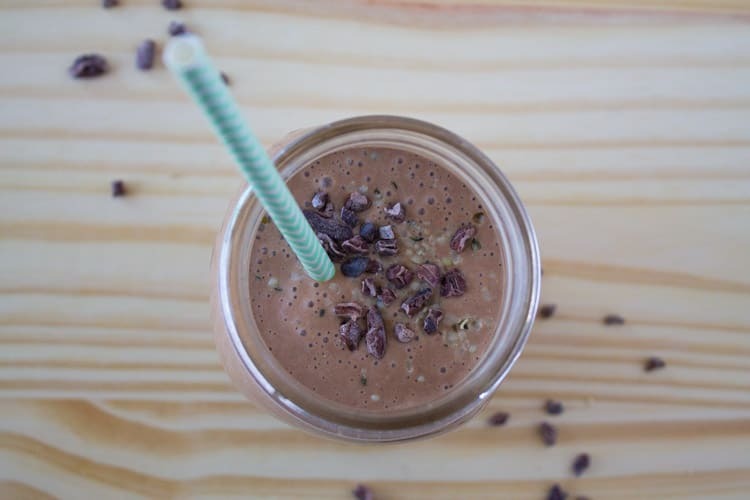 A few What The Foodie Dietitian Ate Wednesdays ago, I shared a chocolate peanut butter smoothie with you that I said was just plain awesome and promised you the recipe. Well, now’s the perfect time to share the ultimate chocolate PB pairing…smoothie style. I kind of feel crazy that I’ve been making these smoothies lately considering it’s negative gazillion degrees out but they’re just so delicious…and easy. And when you don’t want to leave your house to go to the grocery store because it’s a blizzard outside, a smoothie is a welcome solution. 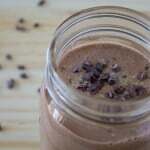 Plus, you can feel really good about this smoothie and still enjoy the indulgent taste of chocolate & peanut butter. Add all ingredients in the blender and blend until smooth. Serve immediately. This looks good…but when you said boozy hot cocoa, I got distracted. So I’m off to check that out! Bahaha. Like where your priorities are at. 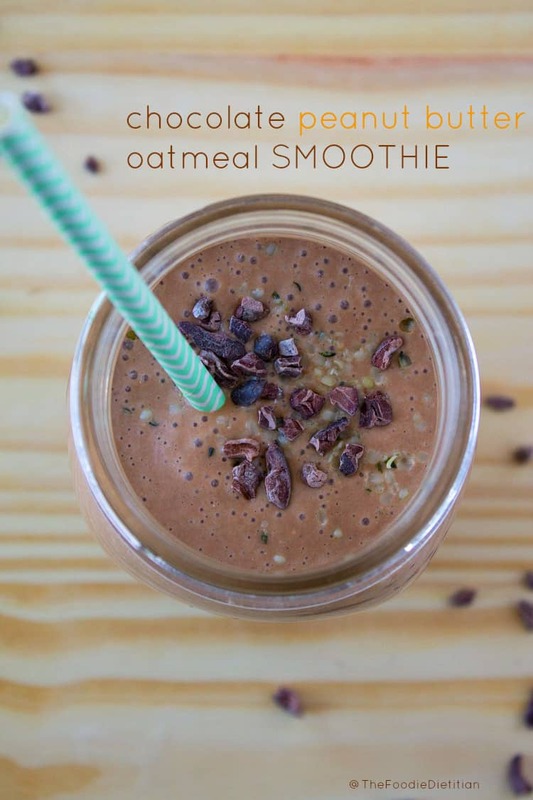 Love adding oats to smoothies. This combination will never get old, and I could most certainly drink this smoothie all.day.long. I just started adding oats to smoothies! 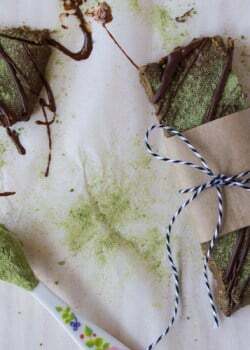 So easy and you can’t taste them! One of my favorites! I was craving this for breakfast this morning and was so sad when I didn’t have frozen bananas in my freezer! Oh no! Major bummer. I always get disappointed when we’re out of frozen bananas too! Always a favorite of mine!